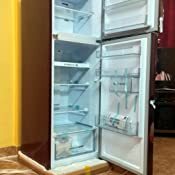 Need help buying a fridge? 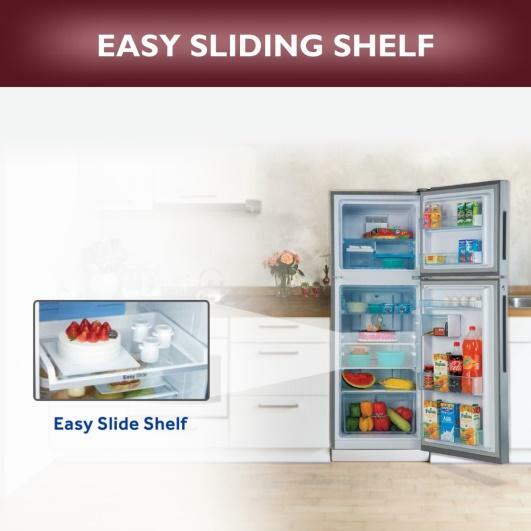 Check the refrigerators buying guide. Haier Group is the world leading brand of major household appliances and is now transforming from a traditional household appliance manufacturer into an open platform for entrepreneurship. In the Internet and post e-commerce era, Haier is devoted to transforming into a truly networked company to build an ecosystem of shared creative and win-win results. 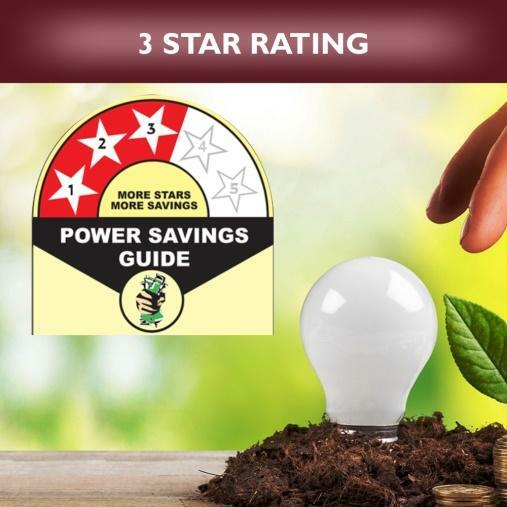 With ‘socialnomics’ as the company’s guide, a foundation in user value interaction, and a core competitiveness of trust, Haier is set to become a Consumer Durable leader. This 3 Star rated frost free refrigerator from the house of Haier has the capacity of 258 Litres. 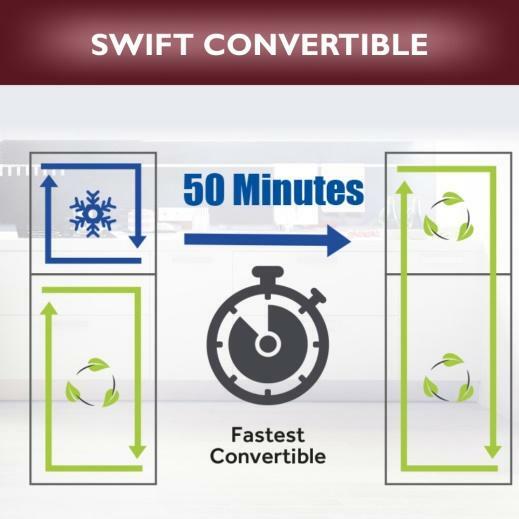 It is a double door refrigerator with feature of swift convertible. It has Tower LED lighting system, adjustable feet, vegetable crispers and twist ice maker. It also has the feature of cover vegetable case, beauty & care case and egg tray. 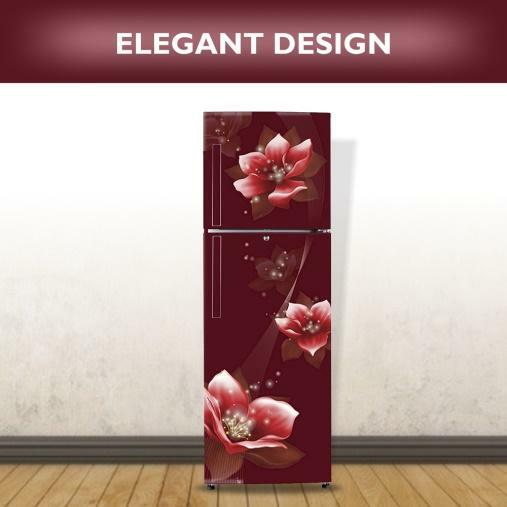 It is designed with the grace to match your designer kitchen. 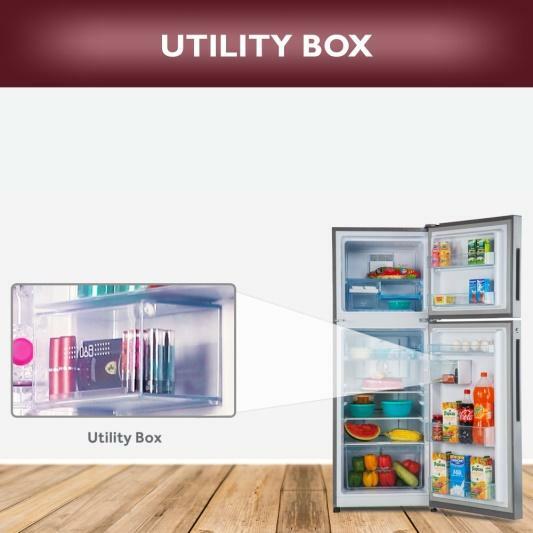 Keep your food safe and fresh by keeping those in this top mount swift convertible Refrigerator. Convert your freezer to fridge and back to freezer in just 50 minutes with the all new Haier's swift convertible frost free range of refrigerators. Available in elegant designs. 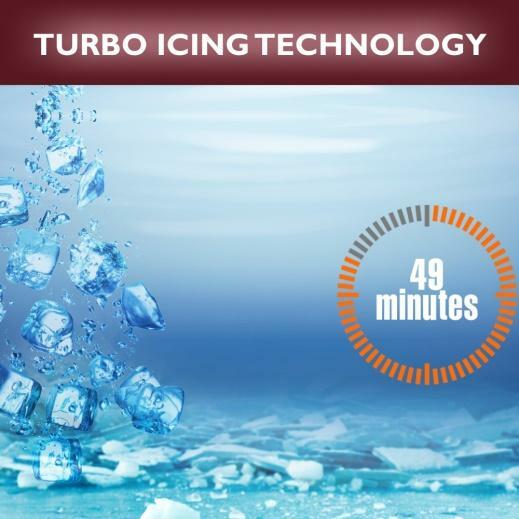 Turbo icing technology accelerates the time needed to freeze products in the freezer section. 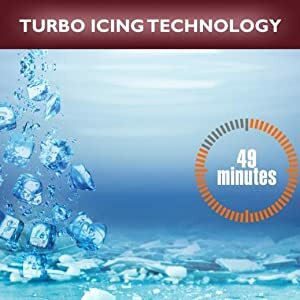 It helps make the ice 200% faster in just 49 minutes. 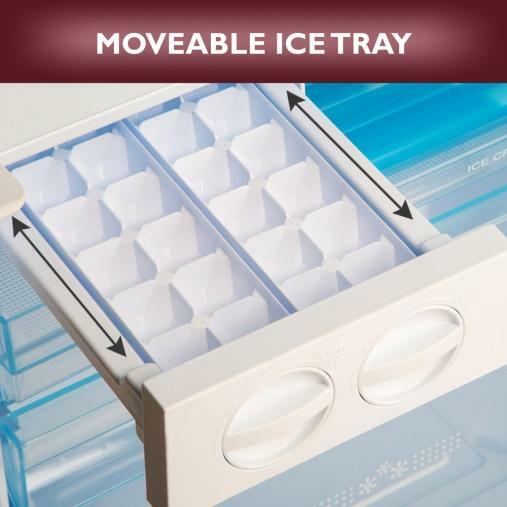 Faster ice making than any of the competitor in the same product category. 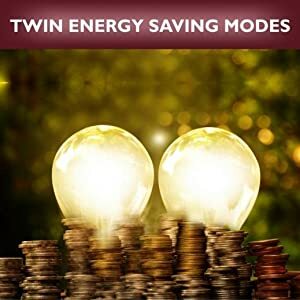 Two energy saving modes in one refrigerator save up to 15% energy in mode one and up to 30% energy in another one, store more save more. Moveable ice tray can be shifted from one spot to another that means it gives you the extra and vacant space to store bottles, cupcakes and a lot more. Why save less when you can save a lot! 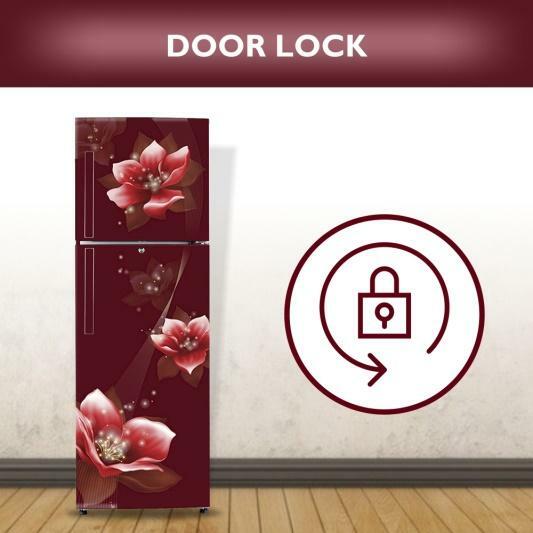 Get savings of a good amount with the all new revised star rating with Haier's single door refrigerators. 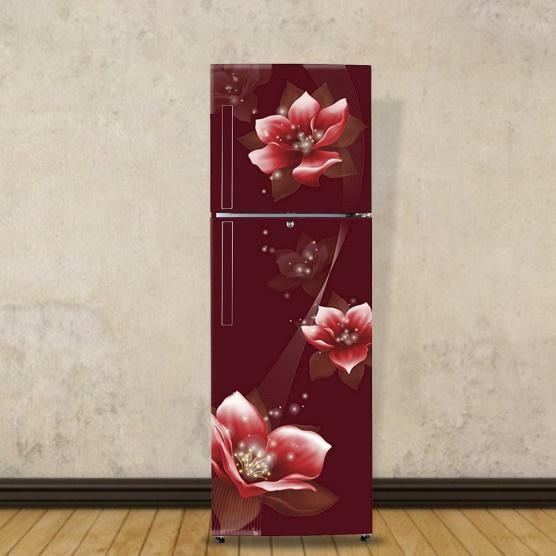 The designer flower print gives this refrigerator an elegant look. It will surely make your kitchen a designer place of cooking. Now Keep your kids away from unhealthy junk food with this door lock. Utility box helps you efficiently store your cosmetics or medicinal products safe and intact at the same time. 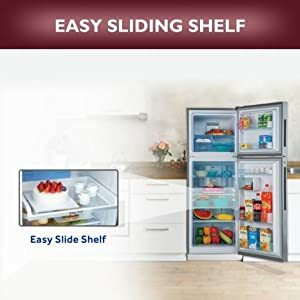 Finding out the stuff in a refrigerator is itself a big challenge, but with easy sliding shelf conveniently store and efficiently organize your food items even at the back of the shelf. 5.0 out of 5 starsHaier 258 L, Double Door, Frost Free, Convertible, Red Refrigerator. 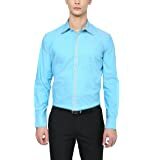 It's fantastic deal @Rs.19990 that too with no cost EMI. 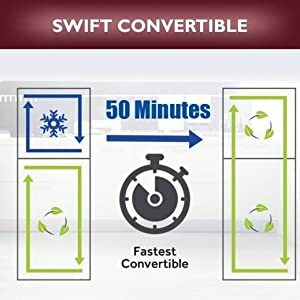 you will not get a double door convertible refrigerator any where else at this price. 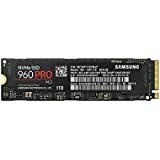 5.0 out of 5 starsHaeir's 2018 announced/manufacturing new and improved model. Haeir a well-known brand manufacturing refrigerators at pune...Though it's chinese origin, quality is not less than other reputed brands. Convertible, floral design, elegant looks, all standard utilities and best quality...Proudly go for make in india brand. No any manufacturer gives double door floral design in 20k range . Side walls are warmer at the begining but after use of a month comes to normal..
Glass, fibre, seal, and shelf are better and strong..2018 announced/manufacturing new and improved model. Excellent. In amazon Photo is not clear but the fridge is giving a stunning look. 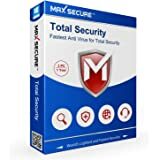 I like it very much as it gives me 100% satisfaction . It is cool & smart like M.S. Dhoni.